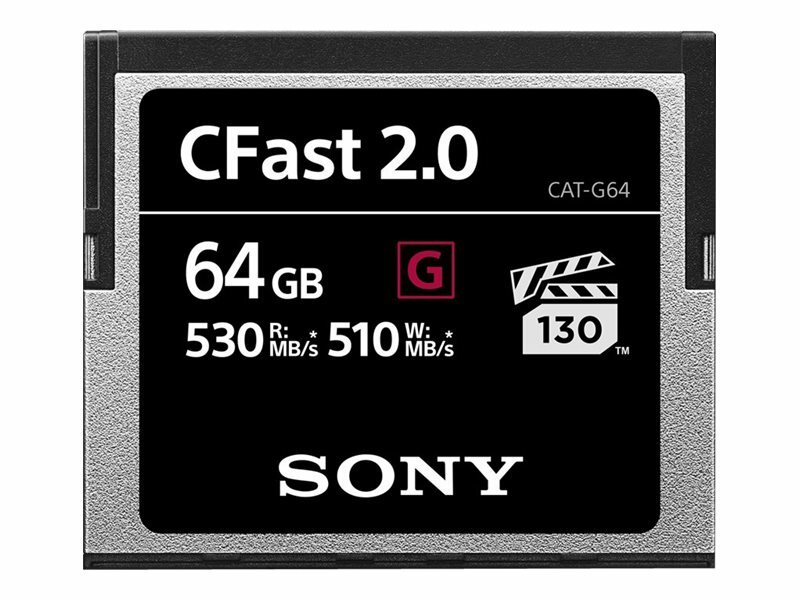 The Sony CFast 2.0 G Series memory card offers the speed and capacity that pros and prosumers need. Whether for photography, broadcast, or theater, the top write speed of up to 510 MB/s enables continuous raw burst shooting, and the top read speed of up to 530 MB/s allows fast transfer of large files including 4K videos. VPG130 support ensures a minimum 130 MB/s sustained write speed for theater-quality video recording. Storage capacities range from 32 GB to 128 GB.